In this article Mark Ford looks at starting a business from home and shares a valuable resource to help you start a profitable online business from scratch. Hello, Mark Ford here, home business lifestyle coach and I would like to wish you a very Happy New Year. It is 2018 and it could be the best year of your life by starting a business from home. Yesterday I shared with you 5 benefits of working from home and at the end of that post I promised to give you a special gift to start 2018 with a bang. Well I am a man of my word and over the next few minutes I am going to introduce to you what I think is one of the best home business opportunities that is available at the moment. I am an Elite member of an exclusive members only online business training organization called the Six Figure Mentors who are specialists in helping people start a profitable online business from scratch. They have many online business training and mentoring programs along with a proprietary digital business system that you can leverage to promote their products and services as an affiliate marketer. For a limited time they are offering a free trial to the entire system for 30 days so that you can have access to valuable online business education and have the opportunity to start making money with your own affiliate marketing business. In this post I will cover what you get within your free trial and then I will give you an opportunity to open your free account with the Six Figure Mentors. Fundamentally the Six Figure Mentors online business startup bundle has $350 worth of online business training for free. It is full of powerful online money making education that is designed to help you get up and running with a profitable online business as soon as possible. Once you have opened you account you will have access to this training and have the opportunity to start building your new income streams. So lets look at the main features of the Six Figure Mentors free online business training package. Instantly you will have access to an exclusive online members website that is packed full with archived and live weekly webinar training from some of the top performers within the Six Figure Mentors. 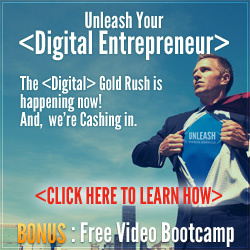 Over the course of the first 7 days of your free account you will have access to a powerful video training series which is hosted by the co-founders of the company who are Stuart Ross & Jay Kubassek. The series shows you step-by-step how to build a profitable online business from scratch using the Six Figure Mentors business model. The Six Figure Mentors is full of highly successful online business entrepreneurs and you will be assigned one of these individuals who will act as you SFM Business Consultant. After making initial contact with them when you open your account you will be able to connect with them so that they can consult with you to build your business from the ground up. 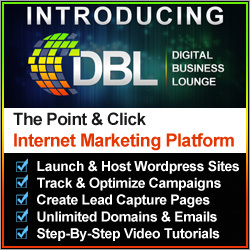 Digital Skills Platform is a cutting-edge platform that is full of micro learning courses that covers all aspects of digital marketing and digital skills in general. You will have access to this for the full duration of your free trial. 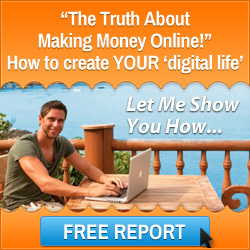 So as you can see starting a business from home is easy with the Six Figure Mentors. Start 2018 by taking advantage of this incredible offer to make this year the best of your life. 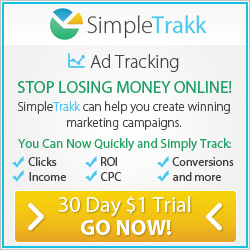 Click the banner above now to get started today. I wish you every success in running your home business from anywhere in the world and a very happy and prosperous 2018. This entry was posted in Start Home Business and tagged benefits of working from home, mark ford, starting a business from home. Bookmark the permalink.